Brazil flags are a common sight all over the world due to the nation's athletic successes. 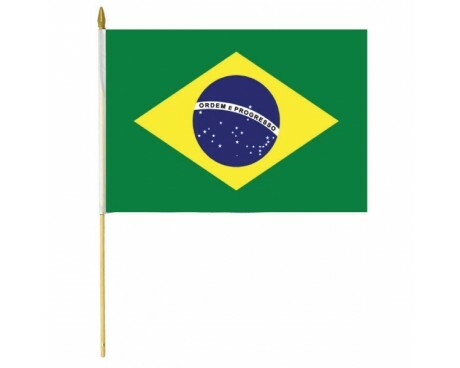 It's especially easy to find a Brazil flag for sale near major soccer events, because the Brazilian teams have so much support all over the world. Brazil is a Federal Republic located in Central South America. The Brazil flag is rich with symbolism. The green background represents the forest resources; the yellow represents the mineral resources. The central device represents the sky about Rio de Janeiro at the moment of the proclamation of the republic (November 15, 1889) The number of stars has been increased over the years from 21 to 27. They are positioned in the patterns of the following constellations: the Virgin, Water Sake, Scorpio, Southern Triangle, Octant, Southern Cross, Keel of Argo, Greater Don and Smaller Dog. They stand for the 26 states of the Federation and the 27th stands for the Federal District. The national motto, " Order and Progress" curves across the blue center on a white band, symbolizing the equator. Modern Brazil flags feature a starry blue disc inscribed with the nation's motto on a golden rhombus on a green field. The green field represents the royal house of Braganza that once ruled Brazil and provided the first emperor, and the gold rhombus represents the house of Hapsburg which provided the country's first empress. 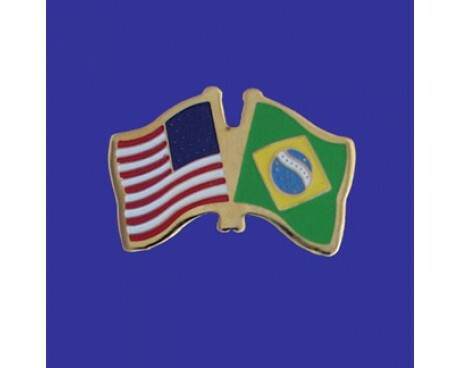 The flag's stars represent the states that make up Brazil, and they are arranged so that they resemble the night sky over Rio de Janeiro, the nation's capital. The modern country of Brazil began as a colony of Portugal, and it used Portugal's flag until it became an independent empire in its own right in 1822. The design for the new nation's flag came from the royal standard of the heir to the throne of Portugal, who had chosen to become the first emperor of Brazil when the nation declared its independence. 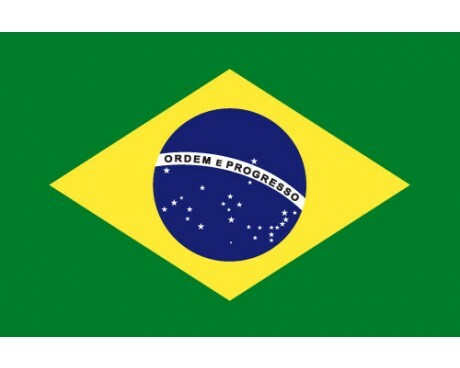 Brazil's first flag had the green field and gold rhombus of the modern flag, but it displayed the imperial coat of arms instead of the starry disc that can be found on the current flag. Brazil eventually replaced its imperial government with a democracy, and the new government decided that it needed a flag that was not tied to the old royal government. A lawyer named Ruy Barbosa designed a flag that bore a strong resemblance to the American flag, which was used for four days until people complained that it looked too much like the flag of the United States. Brazil adopted a flag that resembled the modern one shortly after, and since then the flag has only changed to increase the number of stars when Brazil gained a new state. 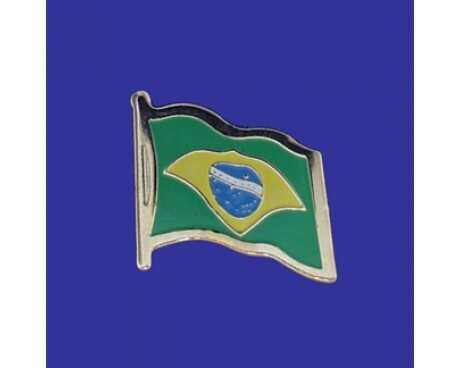 The current Brazil flag for sale follows the pattern that was established in 1992, when the flag last changed.